A man who made plans to join the terrorist organisation Daesh has been jailed today, Tuesday, 26 February. Mohammad Aqib Imran, 23 (28.01.96) of Birmingham was jailed for eight-and-a-half years for one count of engaging in conduct in preparation of terrorist acts, and three years and nine months - to run concurrently - for collection of information useful to terrorism. During his trial last year, the Old Bailey heard how police arrested Imran following an investigation into his friend, 20-year-old Naa’imur Rahman of north London, who was convicted of a plot to kill the Prime Minister. Imran himself was not charged in relation to that plot but police identified that the two men had been talking online and met on two occasions. Rahman recorded a “sponsor” video and sent it to Imran to show terrorists when he arrived in Libya. Acting Commander for the Met Police Counter Terrorism Command, Alexis Boon, said: “The idea was that Rahman would kill the Prime Minister and Imran would subsequently have a video from a martyr recommending he be accepted into the terrorist organisation. Such a video would have held weight with Daesh. Detectives subsequently arrested both men on 28 November 2017. They seized Imran’s phone and Kindle, and forensic specialists sifted through the media files on the devices. They recovered Rahman’s video message from a phone belonging to Imran, and from Imran’s Kindle they recovered a terrorist guide book. On 18 July 2018, in a trial with Rahman, Imran was found guilty of collection of information useful to terrorism in relation to the eBook. 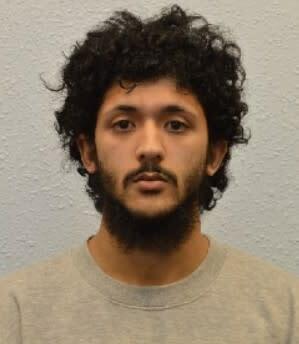 The jury was unable to reach a verdict in relation to a charge of engaging in conduct in preparation of terrorist acts, which related to Imran’s plan to travel to join Daesh, but he was found guilty of this offence on 27 December, following a retrial. Rahman previously pleaded guilty to engaging in conduct in assisting the preparation of terrorist acts, for the sponsorship video he filmed for Imran. He was jailed for 30 years for this and the plot to kill the Prime Minister.